Core competencies are essentially what a business does well that distinguishes it from other businesses. This is a very general core competency definition. However, a broad definition is necessary as the term moves into general usage and is applied to businesses of all sizes. The original definition applied only to large businesses. Obviously, such a strict definition of core competency excludes small businesses, as most would not be able to meet the third condition. Fortunately, over time, the concept of core competency has evolved. All definitions, however, include the concept of competitive advantage. A more current definition of core competency would be "key abilities or strengths that a company has developed that give it a competitive advantage over its peers and contribute to its long-term success." Core competencies are difficult for competing businesses to duplicate. Massive buying power - Walmart's mantra is "everyday low prices". To facilitate this it uses its mammoth purchasing power to constantly pressure suppliers to drive down wholesale costs. Supply chain management - Walmart excels at all aspects of supply chain management. It has a massive network of distribution centers and has refined purchasing, operations, distribution, and integration into an extremely efficient system of inventory management, resulting in better stocking of products in stores and lower costs (which are passed to consumers). 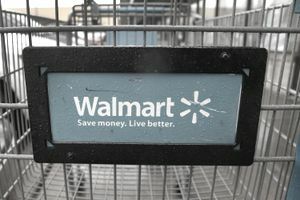 Walmart was instrumental in the development of the Universal Product Code (barcode) and was the first company to implement it on a company-wide basis to collect and analyze data from individual stores. Innovation - Apple has a long history of developing unique and innovative technology products, including the Mac computer, the iPod, iPhone, iPad, Apple TV, and the Apple Watch. Apple founders Steve Jobs and Steve Wozniak developed the Apple 1 in 1976 and went on to develop the Apple Macintosh and other revolutionary tech devices. Even when it is not the first company to develop a new product, it is often the one that is able to take a new product, engineer it in a unique fashion, and make it an enormous commercial success (for example, the release of the iPhone practically killed the sales of Blackberry devices within a few years). Brand recognition - fans of Apple products tend to be extremely loyal to the brand. According to Morgan Stanley, Apple's iPhone had a 92 percent brand retention rate in 2017, beating Samsung at 77 percent and LG at 59 percent. It is not uncommon for consumers to line up for hours or days for a new iPhone or other Apple product release. Many frenzied Apple fans purchase every new release of the iPhone, even if their current model is less than a year old. Apple has brand loyalty that is the envy of corporations everywhere. Marketing - Apple is a consistent winner of awards for marketing excellence. The Apple marketing philosophy revolves around understanding the needs of the customer, focusing on building innovative but intuitive products and devices that work well with each other, and constantly emphasizing the brand. Customer service - with its free shipping and unmatched return policy Costco is famous for its customer service. Value - Costco's high-volume, bulk sales model allows it to charge very low prices on a wide variety of quality products (in fact, many small business use Costco as a wholesale source). Employee recognition - Costco is well known for taking care of its employees by paying a living wage and providing benefits. The annual turnover rate within a year of recruitment is less than six percent.